Whether you live in Dallas, or just visiting, you can be certain to find a variety of hair salons. Dallas is the ninth most populated city in the United States, located in north Texas, offering many attractions to fit anyone’s personality. Some of their attractions include; a wide variety of shopping, restaurants, art museums, nightlife, parks, and more. During the month of April, Dallas organizes a city-wide art celebration. Here are a few of the top salons to consider for your next hair appointment or visit. The Beauty Box Salon, 4123 Cedar Springs Rd #103, Dallas, TX 75219. 214-559-3572. Stylists here are experts on hair color, wigs and hairpieces, brazilian blowouts, and hair extensions. Whether you are new or a veteran of the hair extension concept, The Beauty Box Salon has a huge social media presence with very informative videos and blogs to keep you up to date. This salon uses the best products and processes to achieve the most colorful, soft, and healthy hair.They also consider themselves the best brazilian blowout salon in Dallas. Consider The Beauty Box Salon the next time you’re looking for frizz-free, manageable, soft, shiny and beautiful hair. Groove Hair Salon is unique in that their hairstylists excel in a variety of hair services including; hair extensions, cutting edge color techniques, updo’s, razor cuts, men’s cuts, waxing, makeup, and more. You can find them at: 115 Murray St. Dallas, TX 75226. 214-748-4247. Groove Hair Salon loves staying up to date with the latest trends, and helping their clients maintain a healthy hairstyle. Johnny Rodriguez The Salon has been rated one of the best U.S. Salons repeatedly, and a winner and Finalist in D Magazine. They have a huge team of stylists that specialize in different services such as: blowouts, smoothing treatments, updo’s, extensions, haircolor(including balayage), and haircuts. You will find them at: 5403 W Lovers Ln, Dallas TX 75209. 214-390-7936. Johnny Rodriguez The Salon only provides the best of the best products including: Oribe, R+Co, NeuHair, V76 by Vaughn, and Color Wow, just to name a few. 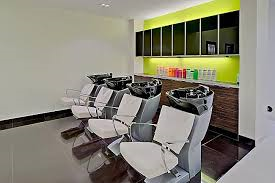 Salon D was the first leasing salon in the Dallas/Ft Worth area, and they have some of the top hairstylists, whom have been published in magazines and televised in local shows. You will find Salon D at: 13615 Inwood Rd #160 Dallas, TX 75244. 972-788-0975. Special occasion hairstyles and makeup, digital perms, keratin treatments, and hair extensions are some of their specialities. Hair By Gino is located at: 5338 Belt Line Rd, Dallas, TX 75254. 972-369-2569. Gino has been dedicated to the hair and beauty industry for over 20 years. He specializes in brazilian blowouts, cuts and styles, trending haircolors, and hair treatments. Gino was awarded the Spectrum Award for Excellence in Customer Service by CBN. Hair By Gino offers a brazilian blowout special when you purchase a highlight or hair color service the same day. Pura Vida Hair Salon is located in Uptown Dallas at: 3324 McKinney Ave #180 Dallas, TX 75204 214-378-8889. They have a team of highly educated stylists in one of the most prestigious salons in Dallas. Each service is uniquely tailored to each client at Pura Vida Hair Salon. In addition to men’s and women’s haircuts, special occasion hairstyles, reconstructive treatments, and haircolor services, this salon has fully certified barbers on staff. Zoya Salon, located at: 4950 Belt Line Rd, Suite 165, Dallas, TX 75254. 972-930-9953. They have over 18 years experience in hair color, haircutting, and styling. Zoya Salon now provides and excels in hair extensions and wigs and hair pieces, offering a variety of techniques, as one size does not fit all. Zoya was the first stylist to offer the cold fusion method of extensions for a number of years. Travis Salon is a trendy and intimate salon located in Uptown at: 2512 Mahon St. Dallas, TX 75201. 214-468-0222. It has a relaxing and charming atmosphere, yet clients can enjoy the many boutiques and restaurants in the convenient and historical uptown area. Travis Salon services both men and women of all ages, and provide the trusted high end product line by Kevin Murphy. ERA Salon, located at: 4023 Oak Lawn Ave #120, Dallas, TX 75219. They are the perfect blend of old hollywood fashion and glamour and modern day chic. ERA Salon offers services for both men and women including: wedding/bridal hair and makeup, haircolor, blowouts, extensions, facial waxing, haircuts, and airbrush tanning. They use a variety of professional products such as: Schwarzkopf, Oribe, Kerastase, Keratin, and Shu Uemura. At ERA Salon, you will be offered complimentary hot eucalyptus towels, along with lavender paraffin hand treatments. Ellum Hair Studio is conveniently located and has plenty of parking at: 3111 Canton St. Suite 120 Dallas, TX 75226. 214-718-7744. While at Ellum Hair Studio, you can enjoy refreshing beverages from Deep Ellum Brewery and some amazing artwork created by local, talented artists. This salon has a team of six stylists that can bring your hair vision to life, whether it be the perfect color or haircut.